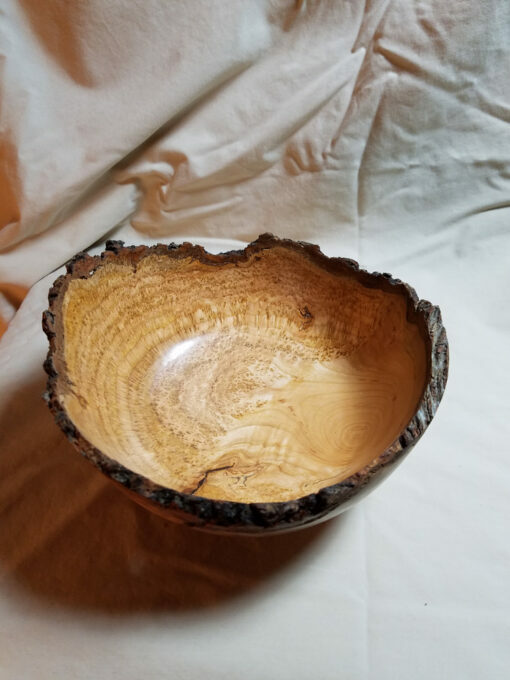 A cherry burl natural edge piece. This one has great radiating grain layers to compliment the densely figured wood. Measuring 7.25″ across and 3.5″ inches deep.